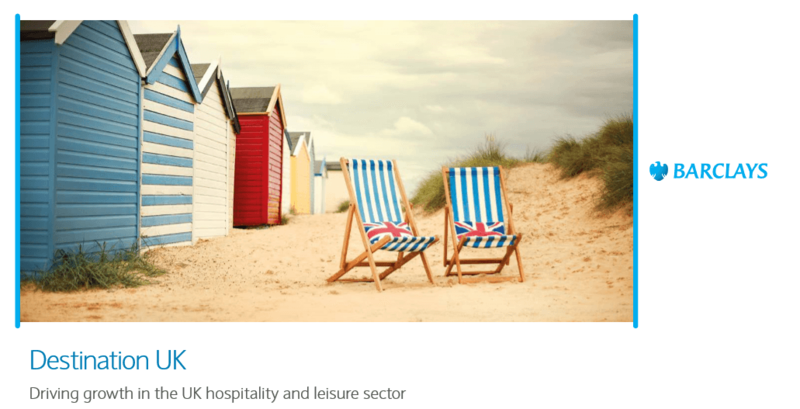 According to research conducted by Opinium for Barclays, this year is set to be another record-breaking year for the UK’s hospitality and leisure sector, with both domestic tourist expenditure and international visitor numbers set to grow. The UK has become an increasingly attractive destination for overseas travellers, partly due to the decreased value of sterling, better value for money compared with previous years and popularity of shows such as Game of Thrones and The Crown. More than 60% of over 7,000 international holidaymakers surveyed said they were more interested in visiting the UK than they were a year ago. Almost all respondents (97%) were interested in visiting the UK now, or in the future. While the impact of Brexit has, at least temporarily, boosted the UK’s international appeal due to the weaker pound, the three in ﬁve holidaymakers who are more likely to visit today than 12 months ago cited a range of reasons for their answer. Providers’ investment in advertising has not gone unnoticed, with 29% noting this increased visibility, while 30% simply have more money available to spend on holidays. Exploring Britain’s unique culture, history and landmarks proved the most popular experience for international visitors, while those from Saudi Arabia were most likely to visit in order to shop in the UK’s many and varied retailers.